Lock and load your writing with this bullet casing styled pencil! 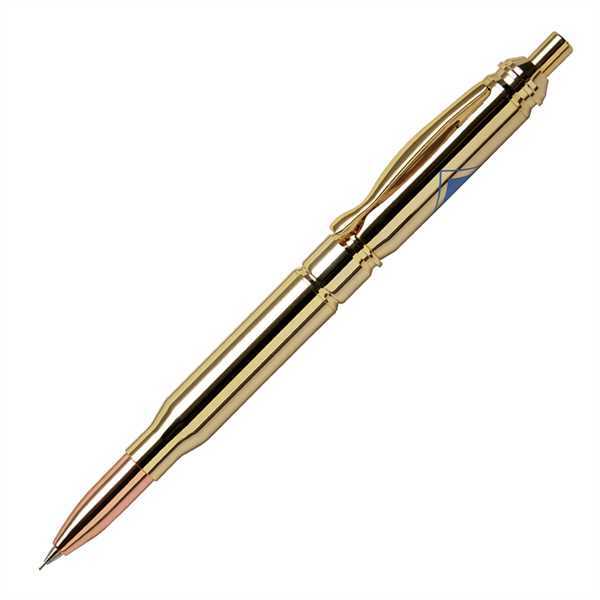 Perfect for any firearm enthusiast or hunter, this writing instrument features solid brass construction, click-action mechanism with 0.7mm lead, polished gold plate finish and copper color points. Your price includes a one-color, one-position imprint or laser engraving to showcase a brand name, logo, event title and more. Please see detailed image for the pencil's lead refill instructions.